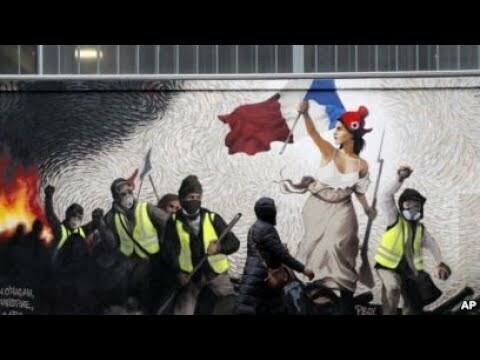 Live from Paris, as thousands of #YellowVests protesters are expected to take to the streets of the French capital for the 13th Saturday in a row. Despite the #Frenchgovernment suspending #taxhikes and announcing increases to the #minimumwage, protests have continued. According to the French newspaper JDD #FrenchPresident #EmmanuelMacron is considering holding a #referendum this spring. This would be the first referendum in 14 years in which French citizens will be asked -among other things- to vote on #parliamentaryseats, the #electoralmandate and the counting of blank #protest votes during major #elections.